Become a playmaker for the day and treat your family to a unique theatrical experience. 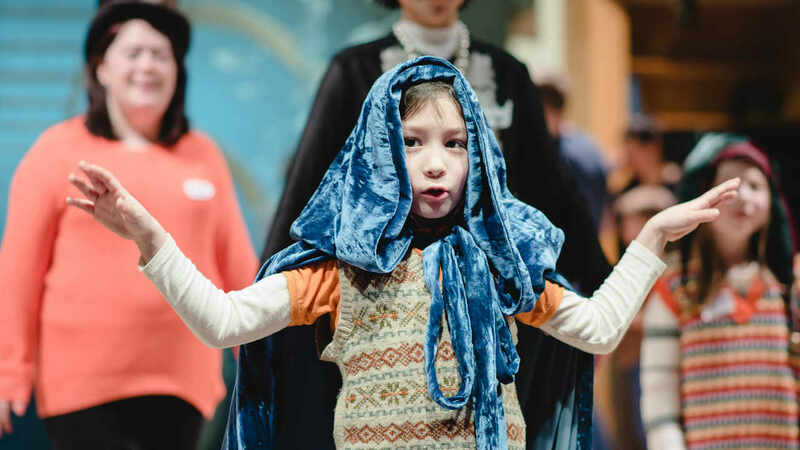 Inspired by well-loved fairy tales – with a twist and a shout; you will create characters, devise a script and write new songs, weaving it all together for a performance at the end of the day. This workshop is for children aged 7–12. Sorry, we can’t admit children under the age of 7. All children must be accompanied by an adult and all adults must be accompanied by a child. Each adult may only be responsible for a maximum of three children.